As technology booming and networking devices proliferating, network expansion has become common in all data centers. Thus choosing an Ethernet switch with abundant ports is of great concern. However, one can also connect small switches like 8 port switches together by daisy chaining them. For SMBs and home usage, the choice between deploying a 24 port switch vs daisy-chaining 8 port switch has confused many people. We’re here to make an analysis for your selection guide. Deploying a single 24 port switch owns all the edges over several small 8 port switches. Above all, 24 port switch is designed with advanced features for high-performance. 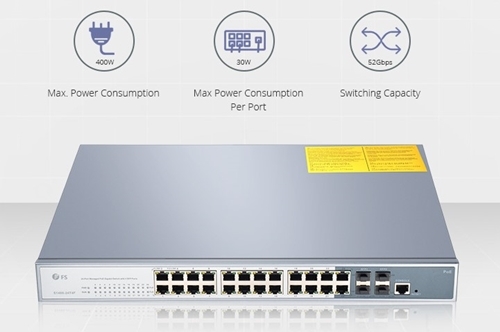 Say S1400-24T4F 24 port PoE switch, which has a 400W power budget and 52Gbps switching capacity rather than 130W and 20Gbps of S1130-8T2F 8 port PoE switch. Besides, more unoccupied ports provides you redundancy for network expansion. An 8 port switch can easily get saturated than you’ve expected. Also, running one 24 port switch saves space, power and is easier for management than daisy-chaining several 8 port switches. But meanwhile a single 24 port switch loses redundancy for network outage and separate placing flexibility. Figure 1: S1400-24T4F 24 port rack mount PoE switch complies with IEEE 802.3af/at, fit for VoIP phones, wireless APs and IP surveillance cameras for intelligent switching and networks growth. In general, we don’t recommend one to daisy chain 8 port switches. The main reason is that it brings low performance and unnecessary troubles. Chaining switches makes your network too big a diameter, which is difficult to achieve effective Spanning Tree Protocol (STP) and Shortest Path Bridging (SPB). As a result, it forms a loop and your network will grind to a halt. Also, the 1Gbps uplinks for connecting those 8 port switches will become a bottleneck, which causes random dropped connections and incidental throughput issues. To alleviate the loop, mind never daisy chain more than 3 switches together. Besides, keeping hooking up 8 port switches, your network layout will look like a spider web of switches and cables in all different directions. In this regard 8 Port PoE switch may be a good way to go for saving one extra power wire for each device. However, daisy-chaining 8 port switch can make things easier in some situations. For example, you have a 24 port gigabit switch in the garage and you plan to run each room with a cable to a port. But how about rooms needing more than one port? In this case you can daisy chain an 8 port switch to that port in each room, then all your devices can be connected. This is also the easiest solution when PCs in different areas requiring for separate IP locations. 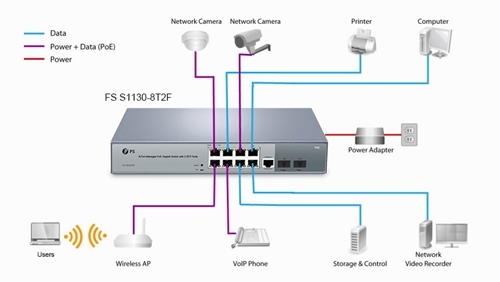 Figure 2: Applications of S1130-8T2F 8 port PoE switch for IP cameras, VoIP phones, wireless APs. To highlight, using a single 24 port switch with redundant ports is a more advanced solution in modern market. It leaves management troubles and low-performance issues like loop and connection drops of daisy-chaining 8 port switches. However, daisy-chaining 8 port switches is a solution to situations when you need several ports in different rooms or separate IP addresses. But all in all, even if you choose daisy-chaining 8 port switches, you need at least a reliable gigabit switch as core switch in the data center. Then you can add 8 port switches as small branch circuits. Whatever you are choosing, gigabit PoE switch can fit the bill in any situations cruel for power cabling. For the loop issue, one key is to use managed gigabit switch. It detects loops and quickly shuts them down. All managed PoE gigabit switches in FS.COM are fully managed, supporting both Web Interface and CLI command. For replacing clumsy daisy chaining, you can stack switch by using stackable managed switch, which can let your switch stack work smoothly as a single one. Say stackable 24 port gigabit switch managed with 4 10Gb SFP+ uplinks: S3800-24T4S 1000Base-T copper switch and S3800-24F4S SFP switch. Both supports up to 4 24 port switches stacked together, providing up to 512Gbps total switching capacity for your network. 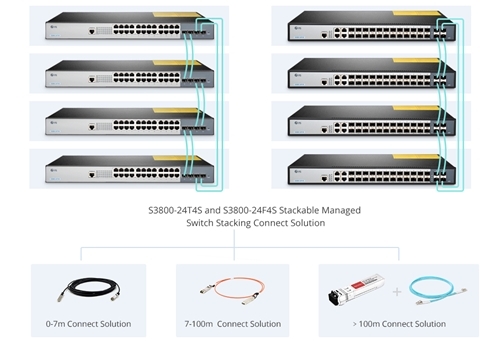 Figure 3: S3800-24T4S and S3800-24F4S stackable managed switch stacking solution for network expansion. 24 port switch vs daisy-chaining 8 port switch: which to employ? For separate placement requirement, daisy-chaining 8 port switch can be a solution to go. A suggestion is to deploy a good 24 port gigabit switch in the data center. Then daisy chain 8 port switches as access switches. For reliable performance concern, one should go for 24 port switch. And for future-proof network growth, to stack switch with stackable 24 port switch can make sense. It also gets around performance issues in replace of daisy-chaining 8 port switches. Among all the port types of Ethernet switch, the 24 port gigabit switch plays a really important role in expanding both enterprise and home network. For enterprise network, deploying several 24 port switch versus 48 port switch not only saves you money, but also provides you backup switches in network outages and separate placing flexibility. As for home network, 24 port switch offers you more spare ports for upgrade and expansion even though currently you only has less than 16 drops. This article will recommend you four 24 port switches in terms of 24 port managed switch or 24 port unmanaged and 24 port PoE switch or non-PoE switch for various demands. FS S3800-24T4S gigabit stackable 24 port managed switch comes with 24 x 100/1000Base-T ports, 4 x 10GE SFP+ uplinks, 1 x console port and 2 x power supplies to allow dual power. If dual power is redundant, you can go for this mode’s single power version, which will save you 30 dollars. 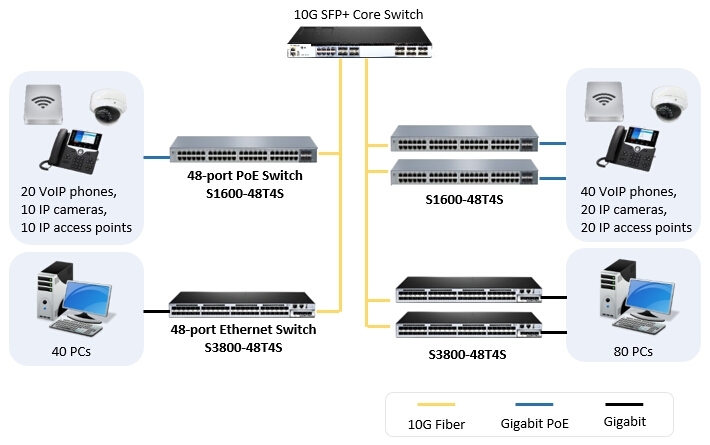 The switching capacity for a single S3800-24T4S 24 port switch is up to 128Gbps. Morever, the 4 SFP+ ports allow one to stack switch. Up to 4 S3800-24T4S switches can be stacked together as a whole. Thus proving up to 512 Gbps total switching capacity to your network and saving rackspace . This 24 port gigabit switch managed is designed to meet the demand of cost-effective gigabit access and 10Gb link aggregation for enterprise networks and operators. FS S3800-24T4S 24 port switch can be managed by both GUI command and web user interface, which is really user-friendly for concerns of interface as well as setting. For fiber switch 24 port, FS.COM is also a good way to go due to competitive 24 port switch price. FS S1400-24T4F 24 port gigabit managed PoE+ switch, 400W comes with 24 x 10/100/1000Base-T RJ45 Ethernet ports, 1 x console port, 2 x combo ports and 2 x gigabit SFP (mini-GBIC) slots. This Layer 2 switch, a fully managed 24 port PoE switch, features optimized intelligent function to improve key business application availability, sensitive data security and transmission efficiency. Besides, FS S1400-24T4F 24 port switch complies with PoE+ standard for higher power capacity than PoE standard. The 24 port PoE switch is best fit for SMB, entry-level enterprise and home network to power devices such as wireless APs, IP cameras and VoIP phones. 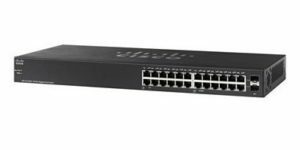 Cisco SG112-24 24 port unmanaged switch has 24 x 10/100/1000 ports and 2 x combo gigabit SFP ports. The 24 port gigabit switch is a fixed-configuration switch with auto-negotiation, auto-uplink and cable diagnostics function. For any SMBs who just need the network to run automatically, this non-PoE unmanaged 24 port switch will be a good choice. However, it is noted that for concerns of customized setting, security control and heavy load adaptability, you should avoid unmanaged switch and go for 24 port managed switch. Figure 1: Cisco SG112-24 24 port unmanaged switch with 2 SFP ports. Cisco SG 110-24HP unmanaged 24 port PoE gigabit switch comes with 12 x 10/100/1000Base ports, 12 x PoE ports and 2 x gigabit SFP ports. The Cisco 24 port PoE switch has a switching capacity of 48 Gbps and forwarding capacity of 35.7 mpps with 100W PoE power budget. The 12 PoE ports support various powered devices such as APs and IP phones. This 24 port switch is a natural fit for anyone who wants to save the configuration trouble and requires for PoE features. Figure 2: SG 110-24HP unmanaged Cisco 24 portPoE switch with 2 SFP ports. This article is dedicated to recommend different types of 24 port gigabit switch for various demands, based on concerns of managed or unmanaged, PoE or non-PoE. It takes the 24 port managed switch from FS.COM and 24 port unmanaged switch from Cisco System as examples to offer reference for 24 port switch selection. Generally speaking, 24 port managed switch is more advanced than unmanaged switch. 24 port PoE switch has superior functionality to non-PoE 24 port gigabit switch. For most concerns of optimized performance and customization management, just go for FS managed 24 port switch, which is cost-effective with both 24 port PoE switch and 24 port non-PoE switch available. 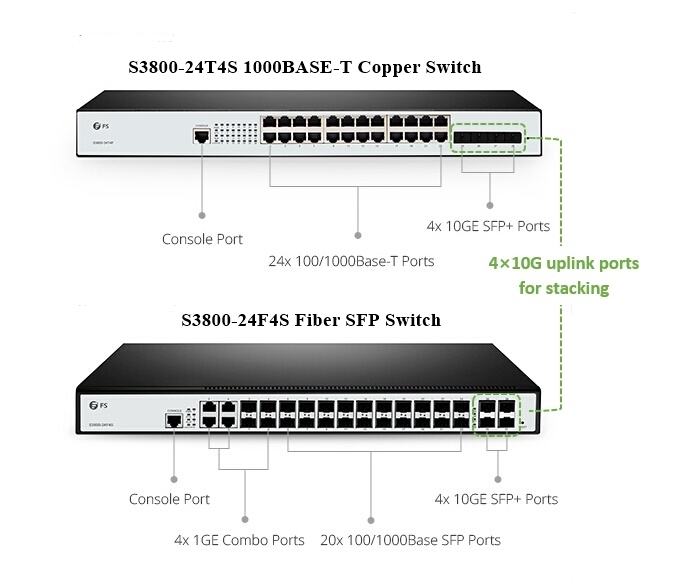 Fiber switch 24 port is not mentioned in the recommendation due to cost-saving concern, but if required S3800-24F4S fiber switch 24 port with decent price would be a good choice.